I joined Keller Williams in April of 2011 after being with another real estate firm since November 2003. A native of Nashville, TN, I relocated to a rural waterfront community in McIntosh County, GA from Athens, GA in 1986. Since then I've lived at various locations on the 100 mile Georgia Coast, and have been a resident of Tybee Island since 1997. I am active in my community and have served on the Tybee Island Planning Commission and the Tybee Island Community Resource Committee. I was a co-founder of the Tybee Island Community Garden. I have extensive knowledge of Coastal Georgia properties and a passionate interest in preserving our pristine waterways and historic areas. Having lived “on the water” for many years I have a deep understanding of waterfront properties. 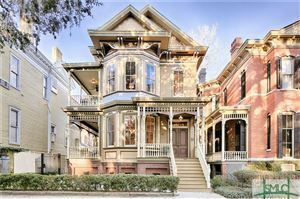 I love the Savannah area which is “steeped in history and southern charm.” I enjoy working with both Buyers and Sellers and will use my strong marketing, communication and negotiation expertise to represent my clients skillfully. My real estate affiliations include the Savannah Area Board of Realtors, Georgia Association of Realtors, and the National Association of Realtors. My Real Estate designations include Accredited Buyer’s Representative (ABR®), Seller Representative Specialist (SRS) and Certified Luxury Home Marketing Specialist™ (CLHMS). In my spare time I enjoy spending time with my Husband, 4 grown children and 2 grandchild, exploring Georgia’s coastal waterways, gardening, cooking, photography and bicycling around Tybee.